R.E. Kelley, Inc. is directed by a "hands-on" executive team that strives for excellence. Customer service is the cornerstone of our business and to ensure that our reputation as a dependable, trustworthy contractor is maintained, an officer is involved in every project throughout its progression. Each principle is accessible to customers, inside staff and field employees establishing open communication and providing leadership direction at every level of the company. Ron began his career with R.E. 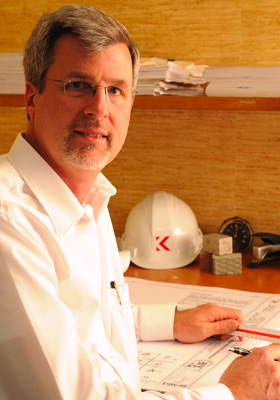 Kelley, Inc. over 30 years ago and has been leading the company as President since 1994. With degrees in Business Management and Construction Technology, Ron is the steward for the overall strategy and growth of the business. 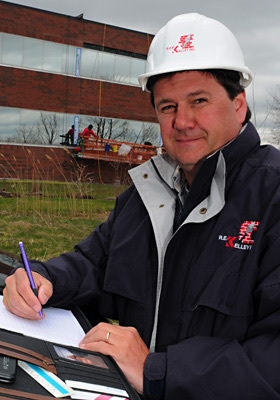 He is instrumental in pursuing new products and technologies for the specialized services that R. E. Kelley, Inc. offers and spends much of his time in the field, monitoring the progress of work at job sites. His dedication to customer satisfaction has developed his long-standing client list which includes: Canisius College, M&T Bank, Kaleida Health, Community Bank and Niagara University. "We approach each project with a focus on flexibility, ensuring that the method, materials and implementation meet the project's specific needs." 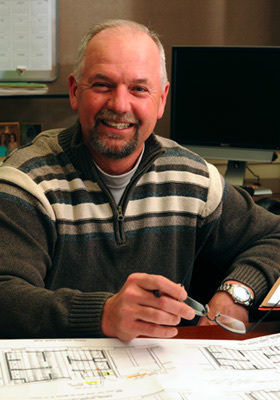 In his role as Sales and Estimating Team Leader, Don personally oversees all project proposals. His strong analytical skills and attention to detail ensure that each project is matched with the most appropriate and effective construction solution available. Don has demonstrated his broad scope of expertise by successfully and economically completing projects at Colgate University, HSBC Bank, New York State Power Authority, City of Buffalo Schools and the Blue Cross HealthNow headquarters, a L.E.E.D. (Leadership in Energy and Environmental Design) building, just to name a few. With a degree in Construction Technology and over 25 years of construction experience, Don's commitment to quality assurance supports the high standards of R. E. Kelley, Inc.
"The best customer experience is the one that exceeds everyone's expectations – on time and within budget." Since 1994, Steve has helped grow the central New York State presence for R.E. Kelley, Inc. Operating from the Waterloo office, Steve and his team are able to quickly respond to inquiries from building owners and managers who need expert advice regarding the condition of their property in the Rochester, Syracuse, Watertown and Albany areas. With over 20 years of construction experience and a degree in Construction Technology, Steve's client list includes Syracuse University, Time-Warner, Keuka College and Bassett Healthcare. "Although each Kelley project is unique, we provide the three basic factors that guarantee success on every project - conscientious project management, quality products and highly-skilled field workers."